Catalog for the second auction of the year. Purchase the catalog for this three day auction. Enjoy this select assortment from some of the finest manufacturers of toys and toy soldiers. The items listed in this catalog are available for immediate purchase. 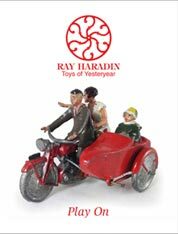 Ray Toys Catalog 58 Enjoy this select assortment from some of the finest manufacturers of toys and toy soldiers. The items listed in this catalog are available for immediate purchase. Includes a Company History, a chapter of Basic Identification Hints, a Glossary, Appendices listing sets made after 1924, and a Topic Index. Price: $75 U.S. or $100 Canada and Overseas (which includes postage). 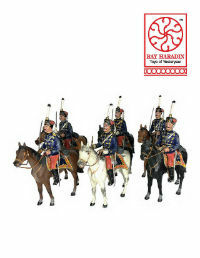 Ray Toys Catalog 55 Enjoy this select assortment from some of the finest manufacturers of toys and toy soldiers. The items listed in this catalog are available for immediate purchase. Price: $150 Shipping $10 US, $20 International. Listed in this catalog are some of the finest toys in the world along with some of the finest examples of the toys known. The items are available for immediate purchase. 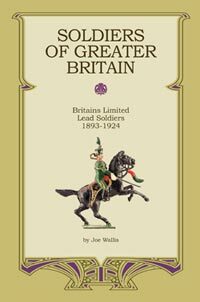 Joe Wallis 2011, The definitive history of Britains Limited lead soldier production between 1946 and 1966. This revised hardcover edition with 500 color photographs is the result of years of intensive research by a recognized authority on this subject. With this new edition, Regiments of All nations remains the standard reference on postwar Britains. 415 pages. Price: Price $60 Shipping $10 US, $20 International. James Opie, 1993, New Cavendish Books, England. Out of Print. The limited edition version of the afor mentioned book, bound in faux leather with gold leafing, packaged in a display box containing a set of 4 Britains Ltd figures. A wonderful book to be given as a gift. Color, 640 pages. James Opie,1993, New Cavendish Books, England. Out of Print. The definitive book on Britains. A MUST have if you collect. Mr. Opie started in 1990 to prepare his extensive files and catalogue library in a fashion suitable for telling the full story of Britains. This book contains over 250,000 words, five analytical indices and over 8000 figures pictured. Color, 640 pages. Hans Henning Roer, 1993, Germany. Out of Print. Written in German with English and French translations, This is THE reference book covering early German Lead figures of all manufacturers. Color, 220 pages. The second volume covering German made composition figures. This book focus is on Lineol and other great makers. 320 pages in German with English translation. 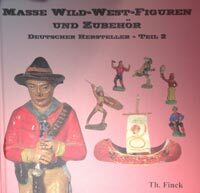 The intent of this book is to give as complete of an overview as possible of all Western figures produced in Germany. Covering composition figures produced by some of Germany's finest toy makers such as Elastolin/Hausser an Fischer. 320 pages in German with English translation. Price: $150 Shipping $15 US, $30 International. 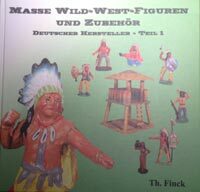 Thomas Fink 2012, The third volume covering German made composition figures. The 357 page reference book uses beautiful color photos to identify figures from over 19 manufactures including Elastolin and Pfeiffer/Tipple-Topple. German with English translation. Robert Lonsing, 2009, More than color 300 pages, richly illustrated with far more than 900 pictures, offer interested collectors of Wollner lead figures the opportunity to find out everything worth knowing about the manufacturer. 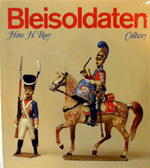 The history of this old Austrian manufacturer is documented and a catalog of produced figures and boxed sets is present for the very first time. Markus Grein, 2003, Germany. Written in German with English translation, this book is dedicated entirely to the products of the Georg Heyde, Co. of Dresden which opened in 1872 and produced figurers until Dresden's bombing in 1945. Color, 120 pages. Christian Blondieau, 1993, France. Out of Print, Written in French with English translation. THE reference book covering the product of C.B.G. Mignot the great French manufacturer. Edward Ryan, 1995, Golden Age Editions, USA. Out of Print. 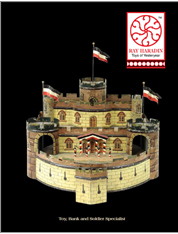 An extremely comprehensive book covering every aspect of paper toy soldiers. Color 528 pages. Norman Joplin, Arnold Rolak, Philip Dean & Joe Kunzelmann, 2002, Schiffer Publishing, Ltd., USA. 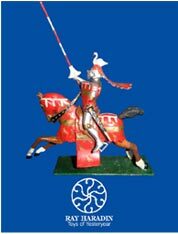 An extensive and in-depth study of the non-military and civilian toy figures by Britains, covering the early mechanical toys of the 1880's through the final hollow cast toys for 1966. Color, 256 pages. Norman Joplin, 2008, Schiffer Publishing, Ltd., USA. Covering the thirty-five year period from the commencement of their New Toy Soldier line to the present day. 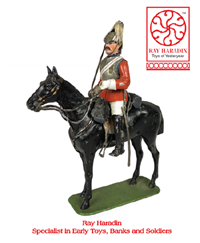 The book focuses on the traditional gloss painted 54mm figures of the Britains Company through its many changes of ownership during that period. Over eleven hundred photographs and in excess of three thousand two hundred figures are illustrated with the emphasis being on military items. Color, 272 pages. James Opie 1985 Victor Gollancz Ltd., England. Out of Print. Mr. Opie's first major book on Britains. This book was later surpassed by THE GREAT BOOK OF BRITAINS, however, there is	very useful information contained within. All serious collector have this book in their library. Color, 192 pages. Norman Joplin & Philip Dean, 2005, Schiffer Publishing, Ltd., USA. This book is the culmination of over thirty years research the history, production and identification of hollow lead civilian toys. 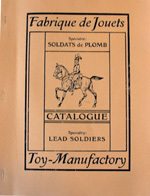 It carefully documents the civilian toy figures produced by over 75 companies between 1900 and 1955. A number of Britains civilian items have also been included for comparison. Color, 384 pages. Norman Joplin, 1993, New Cavendish Books, England. Out of Print. Mr. Joplin's comprehensive book covers all manufacturers of hollow-cast figures with focus on non-military figures made in England. Color, 342 pages. Henry I. Kurtz & Burtt R. Ehrlich, Abbeville Press, USA. Out of Print. 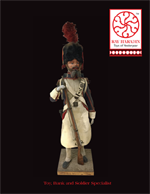 The miniature armies of yesteryear's playroom floor march once	again in this pictorially stunning volume, which gives in detail the histories of major toy soldier makers in the United States as well as Great Britain, France and Germany. Don Pielin, Norman Joplin and Vern Johnson, 2000, Schiffer Publishing, Ltd., USA. 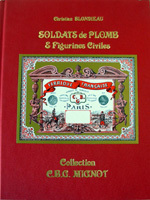 The first all color book devoted to collecting the toy soldiers and figures that were sold in the "Five-and-Dime" stores. Over 650l color photographs showing an excess of three thousand toy figures, arranged in thematic style and covering military and non-military toys reflecting America's social history. Color, 240 pages. Hans Henning Roer, 1981, Germany. Out of Print. 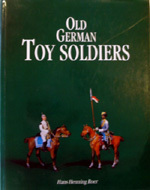 In German only, this is Dr. Roer's first version of OLD GERMAN TOY SOLDIERS. This book is similar yet quite different than his latter, German & English version with many different soldiers photographed. A must for any serious German Lead collector. CATALOGUE OF GEORG HEYDE & CO.
Peter Greenhill, 1991, Guild of Master Craftsman Publications, England. Out of Print. 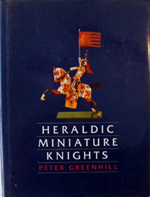 THE reference book covering the masterworks of Richard Courtenay's knights, their Heraldry and their poses. Color, 176 pages. Dennis Fontana, 1991, New Cavendish Books, England. Out of Print. Written in English with a German translation, this is THE book covering the product of Lineol. Mostly Color, 176 pages.